Bridget began practicing law in 1996. After graduating from Santa Clara Law School, she began work as a Deputy District Attorney in Solano County. Shortly thereafter, she took the same position in the Sonoma County District Attorney’s Office. After the birth of her daughter, she looked for a slower paced practice. Estate Planning was a natural fit and all the skills of listening, compassion and fearless pursuit on behalf of her clients translated well to this area of law. She lives in Petaluma with her husband, Robert and her two daughters, Sarita and Elizabeth. She is a member of the Sonoma County Bar Association, California State Bar Association Trust and Estates Section and on the Board of the Sonoma County Women in Law. She also sits on the Board of the Cinnabar Arts Corporation in Petaluma. 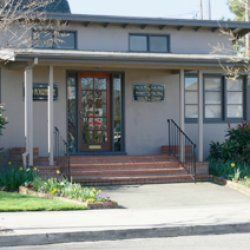 She proudly serves Petaluma and the surrounding areas of San Rafael, Novato, and Santa Rosa.